We’re at the end of the month, so it’s time for a look at the best Free WordPress Themes that have been released. Here is our choice of the best free themes for June 2018. As we all know, mental health and success are the two most important things. If your goal is to help others and be a lighthouse in these times of darkness, try out Blossom Coach, a theme tailor-made for motivators, coaches, and therapists. This SEO friendly layout is easy to navigate and even easier to use. The most important part of every non-profit organization is its image. With the “Fleming” WordPress theme, you can establish a presence that will infatuate others with its simplicity and interactive design. It’s also good for any kind of educational institution, museum or academic project. One of June’s most versatile themes. If you’re interested in casual, personal blogging, Steady Blogging just might be the theme fit for your needs. The entire focus is on functionality and a wide array of widgets you can add to the whole design. There are versions in other languages, all lying down on an SEO-friendly design that will entice your readers from the get-go. One of the most underrated themes of June, Beauty Studio is an ideal choice for any kind of spa, beauty saloon or massage studio. It’s based on Fully Customizer and has excellent compatibility with Site Origin Page Builder. There is no need for coding, as all the particle necessary are ready-made by the developers. A writing blog is much more than text – everything has to work make your work more visible and enticing. Elegant Writing is one such theme, as it gives you a multipurpose platform to work with. AdSense and other ad software work flawlessly on this platform, giving you the opportunity to showcase your writing magic. Relative is a theme focused not on purpose, but on customization. It gives you the option of tailoring the blog according to your needs, not vice versa. A range of layouts, 16 dynamic sidebars and an array of different menus will sure give you the modern, exciting and unique blog you’ve always wanted to be the author of. Now we’re getting to the aesthetically pleasing part. Katha is a versatile theme, but we would say it’s the best choice for small and medium companies that want to leave a good impression from the beginning. There are no excess colors or complications, just a clever use of contrast and fonts. When it comes to press themes, it’s important to keep everything in reach, but not in an overwhelming way. News Portal Lite has an excellent layout, giving you an excellent overview of all the content you’ve highlighted or posted recently. If you’re moving up the corporate ranks, this theme will recreate your image and launch you to new heights. Filled with sophisticated angles and eye-pleasing fonts, Corporate Club is a sufficient influx of aesthetic pleasure to have your readers and customers view your brand from a whole different perspective. Minimalism is the thing in 2018 and using it to your advance will only benefit you. The Retina Blog theme mixes minimalism with some modernistic and classical details, allowing you to have both an easy-to-use and interactive theme to entice your customers with. It can be used both as a company website and as a personal blog. One of the most important things a theme can have is – flexibility. Blogzen provides you with just that, as it can double as a personal blog, aside from being a business-oriented theme. You can use it for finance, consulting, press or any other purpose, rounding up an appearance that is bound to leave a mark on your readers. This theme is all about being seen. No matter how good your press work is or how much effort do you invest in it, you have to make it visible. Madd Magazine uses a well-coded, incredibly beautiful interface to help you get your stories right into the minds of those interested. It’s SEO friendly and fully responsive so that you won’t have any problems tweaking it. Every entrepreneur needs at least one good WooCommerce theme in their arsenal. Shop Store gives you a clean option around which you can base your entire store. It’s customization, with numerous menu and sidebar options, all of which can be calibrated with little to no coding knowledge. It can also be transformed into a blog. The Business Consultr theme is specially made to instill trust into the hearts of your readers. Given the fact that it’s designed to be used by financial advisers, business consulates and any other individual in that line of work, it’s minimalist and straightforward, with the right amount of space to showcase everything that’s important. 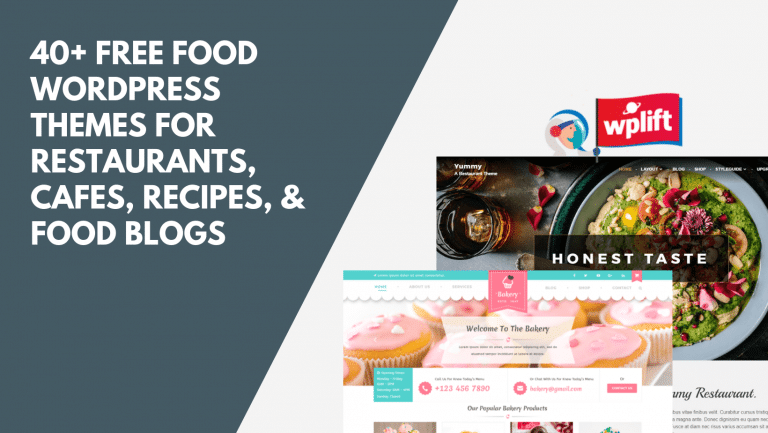 Ideal for small businesses, Farm has one big header image and a two-column grid underneath it. It’s excellent for startups and small companies that want to make an impact right away, without too much fluff and nonsense. There is also the WooCommerce compatibility, allowing you to squeeze a small shop somewhere in there. When you don’t want anything unorthodox or outlandish, Corporate Blue is an excellent theme to use for navigating the corporate world. The entire emphasis is on as little fluff as possible and a lightning fast loading time, for an ultimate SEO friendly design. It’s also customizable, without any coding knowledge required. Adonis is all about elegant personal blogging, with enough space for you to define the purpose of your site. The drop-down menus are numerous and are especially enticing when combined with a lot of space for an HR header. Social media icons are also present, all in a minimalist and aesthetic look, fit for any serious professional. A completely responsive theme, Materialis is ideal for creating a consulting website, as well as any other service provision service. What makes it different than the competition is the great gradient overlays, multiple header types, and fast-loading video background. All of this gives out a feeling of both professionalism and elegance. This WooCommerce compatible theme is a little bit more colorful, so it’s bound to have all your best products visible. There are multiple widget areas on every page, along with an efficient codebase that is easy to change and customize. You won’t have any problems, as you won’t be required to know how to code to make changes. If you’re aiming for a modern and multi-functional WordPress theme, this one should at the top of your list. With an array of customization options, you can add many plugins and details to it, or opt to keep it clean and minimalist as you get it out of the box. Nevertheless, it’s excellent for both personal blogs, travel diaries and small businesses. Ideal for business, One Pageily brings that much-needed elegance and freshness to the table. Equipped with all the right widget areas and soothing fonts, this theme also manipulates the art of the contrast very well, allowing all your content to be seen easily. It’s also a good choice for a photography portfolio or a travel blog. Eco is the theme hero, so it’s only right that this theme is ideal for anything nature-related. If you’re running a tea-selling company or an ecological foundation, you will benefit from the design this theme boasts. It’s fit for use in a multitude of languages, as well as being ready to work flawlessly with many different plugins. Personal blogging was never this fun. PowerWP allows you to create a blog worth reading, in a 3-column, fully responsive and entertaining format. There is also the PRO version, which gives you even more customization options, aside from the regular ones we all have gotten used to. The initial pack also includes some layout, header and widget options. This particular theme doubles as a photo blog and a press blog. With many columns and a layout that favors individual posts, you will surely be racking up views if you’ve chosen to use it as your blogging aid. It gives you the unique opportunity to customize and calibrate anything that’s not according to your general taste. We’re entering a golden age of press blogging, so themes as versatile as Magazine Blog are always welcome. The thing with Magazine Blog is that it gives you extra space to operate and transform your website into a photo or traveling blog, not just a press outlet. Blossom Coach theme by BlossomThemes is Awesome. I like their layout and its quite good looking theme for starting blog or one-pager by using this theme. No doubt the 360Lite and Onepagely also Best theme Among them. Adonis theme is perfect fit for a theme I was looking for for a personal profile website. Thank you so much for introducing this free theme.